The Orange Room went back to the drawing board — literally. ImageThink graphics facilitator Heather Willems drew her interpretation of TODAY all morning long on Friday, covering everything from the JFK anniversary to Thanksgiving meals. Check out the final product below. 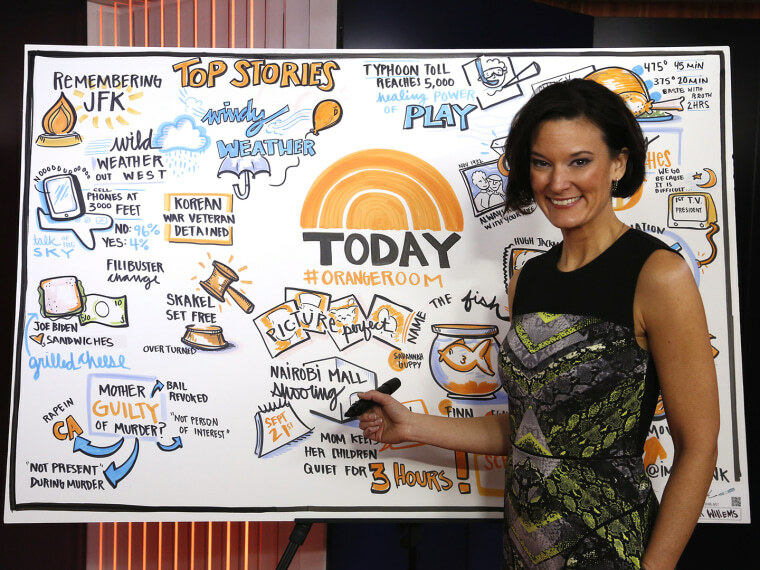 Willems and her company have helped create visuals for large meetings and conferences, but she said drawing a live television broadcast was a first for the company.